Through nearly half a century of perseverance and unremitting effort, the Huamao Group has stood on Siming Mountain as an evergreen tree. Through eighteen years of constant development, growth, and investigation, the Huamao Education Group has thrived and flourished, gradually forming the particular characteristics of the Huamao education culture. Not just in our own schools, these characteristics have written an important chapter in the history of Chinese education development. 1. Huamao education began on the towering Siming Mountain. June 1971, the predecessor of the Humao Group was Yunzhou Process Bamboo Weaving Factory. Huamao began from this small, ordinary, bamboo-weaving factory, but chance destined it for an education career. After ten years of development, the products were exported to many different counties including United States, France, England, Japan and Italy; within 10 years, Huamao became a nationally famous brand. In 1981, the general manager of Yunzhou factory, Mr. Xu, inspired by the Chinese reform and opening-up policy which promoted modernized education, founded a Yinzhou Cultural and Educational Technology Equipment Company beneath Siming Mountain. From then on, he looked to an educational career. At that time, the company’s trademark “Rainbow Flower” was the only well-known trademark in the domestic teaching industry. The company’s products were used by 70% of the national primary and secondary schools, approximately 100 million students used them each year; hence the good reputation of “Rainbow Flower bloomed in the divine land”. The “Rainbow Flower” was approved as a textbook and it filled the gap in the quality of domestic education. Moreover, it won the gold award of UNESCO for Children’s Intelligence Development. In the 1990s, Chinese education needed the development of morality, intelligence, physique, aesthetics and work. In October 1991, under the guidance of the former State Education Commission, Huamao founded The Yinzhou Cultural and Educational Technology Equipment Company. The company employed more than eighty experts and professors as consultants, and has effectively promoted and innovated the upgrading of educational equipment since. Huamao education has laid a solid foundation in the Chinese education industry. If there had been no pursuit of the education dream from 30 years ago, it would be impossible to have Huamao’s education today. 2) In the late 1990s, Huamao followed the adjustment of Chinese national education policy. Mr. Xu made the decision to establish a private school – Ningbo Huamao Foreign Language School (NBFLS) to begin to explore a unique style of education. It was important for Huamao to create the unique characteristics and educational philosophy to cultivate the global talent, national loyalty and world vision China needed. In this context, Huamao developed a general strategy “331”; it established “three unique styles”, created “three projects”. The unique operation principle, “social benefits stimulate the economic benefits”. These three projects of education industry, education business and educational thought, were designed to achieve the goal of “Centennial Huamao” existing from one generation to another. In 2008, the Xu family signed a mutual agreement of separate family, not separate property, which was their only legal agreement in effect. The purpose of this family agreement was to ensure the integrity and heritage of Huamao Education. The “331” development strategy became the constant philosophy behind Huamao Education, directing its three great innovations: The first innovation is the unique philosophy of school management. It was the first nationwide philosophy statement in line with 16 Chinese characters: “Accept differences, offer options, cultivate potential, encourage diversity”. Using this philosophy, Huamao education explored a new way of teaching for the Chinese private education. The second innovation is a flexible educational system. Ningbo Huamao Foreign Language School has the flexible education system of “twelve years of consistency” and IB system of “fifteen years of consistency”. It provides multiple choices for Huamao students. Both schools’ teaching environments combine Chinese and foreign teachers, fully integrating the Chinese culture into the advanced concepts of global educational. The third innovation is ecological chain of all the staff from The Huamao Educational Group. The flexible school system and the excellent teaching team promoted the growth of students. Simple, elegant architecture, a green, flowery environment, and, moreover, art very good masterpieces: all provide for Huamao’s children. These not only improve the knowledge of students, but also, lay a deep aesthetic foundation for them. 3) Huamao Education has formed its own unique educational concept, making efforts in educational research, and further contributions to the quality of Chinese education. Ningbo Huamao International School was founded at 2015 and approved by Ningbo Municipal Bureau of Education. It was initially NBFLS International Department. NBHIS has more than 700 students. There are around 100 foreign students and 60 foreign teachers; they come from more than 30 countries and regions. The school is the only three programme IB school in Zhejiang province, and it is a member of the world’s top student exchange and service program, the Round Square Organization. The foreign principal, Cheryl Keegan, is a senior advisor of the IB program in China, who is a school certifier and trainer for IB Asia Pacific. She has worked for world’s first IB World School in Geneva, Switzerland, and also she has made important contributions to the teaching and management of many top international schools worldwide. 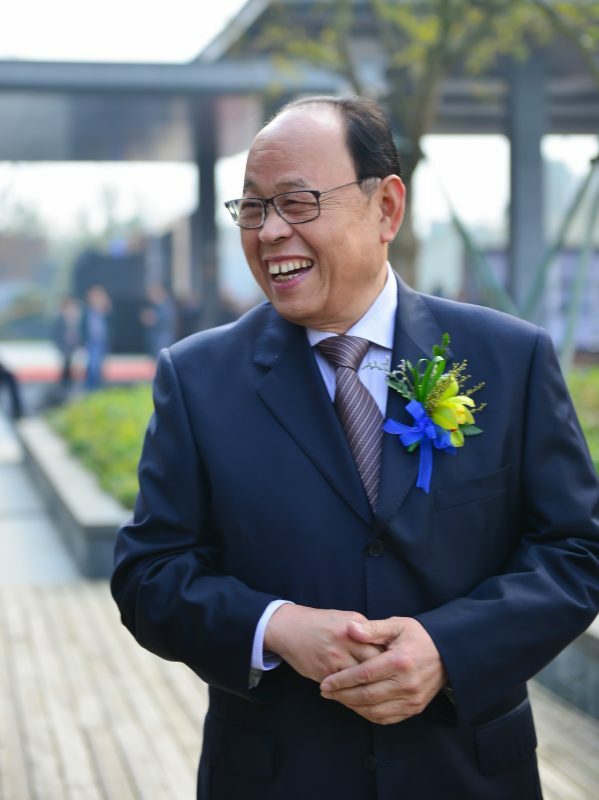 Ye Bin, the Vice President of Chinese Teaching, is one of the first IBO organization and accreditation officers, and workshop leaders in Mainland China. (1) IB as the core course from kindergarten to high school. Fifteen years of IB philosophy and practice are identical with other world famous schools. (2) The national education transition class is one of the top ten projects of the Ministry of Education. (3) Sino-Canadian cooperation International high school project is the Ministry of Education filing project. It is partnership between Huamao International School and Canada’s largest private school, Columbia International College. Students can obtain both a certificate of domestic diploma and a Canadian Ontario diploma. The enrollment rate for students to enter to university is 100%, and many of them enrolled in world-class universities. (4) Sino American has direct enrollment into second year studies in US University. Students study in Ningbo Huamao International High School for three years, and obtain the university credits in 10 courses of first year courses of Trine University. Students can feel the atmosphere of foreign universities without going abroad. Students do not need to provide TOEFL or SAT results, they can directly enroll to the second year of Trine University; or can use their high GPA to apply the top 50 universities in US. (5). The CFL program supported and encouraged by the Chinese government. This program has been running for 13 years, and many Korean students have come to school to learn Chinese, and to graduate to some of China’s major universities such as Peking University, Tsinghua University, and Renmin University of China. (6). “International Art Association Program” international art training program. There are more than 100 teachers, professors, artists and designers from top universities in Europe and the United States who provide students with the world’s leading career planning and counseling. 3) Nowadays, the Huamao education group has four schools; they are Ningbo Huamao Foreign Language School, Ningbo Huamao International School, Quzhou Huamao Foreign Language School, and Longyou Huamao Foreign Language School. Student exchanges and interaction between teachers and students, gives full play to the advantages of a group of schools to share common resources to build an excellent educational platform. The Huamao Education Industrial Company provides comprehensive, professional and high quality teaching logistics on the school campus: The catering center has achieved the restaurant’s highest level of grade A. A professional nutritionist works in kitchen with many chiefs to provide 6 meals with safe, healthy ingredients. The Rainbow Bakery provides the fresh, western meals for students and teachers on the campus. Thoughtful boarding school management is composed of professional life teachers and nurses. They cultivate students’ independent living ability. The security center ensures that students have a safe and orderly learning and growth environment. “Rainbow Action” philosophy continues to develop students’ public welfare and activities, organizational skills, interpersonal skills. Huamao school campus consists of an Art Museum, an International Education Library (under construction), a Science and Technology Museum, two Gymnasia and International Art Education Museum. No other high school campus provides these rare facilities. Huamao Art Museum is the largest private art museum in domestic China. The purpose of the museum is “to maintain a collection for education, and a museum to educate people”. The collection covers the main Yuan, Ming, Qing, modern and contemporary periods with both foreign and Chinese masters and Famous Chinese painting, calligraphy, oil painting, printmaking, sculpture, music, architecture and seven other categories. Huamao Science and Technology Museum has the area of more than 10,000 square meters. In the exhibition hall, there are more than 50 kinds of interesting exhibits, such as automobile production, LEGO, pottery, and cubes. There is a dinosaur park and numerous specialist classrooms. Huamao Gymnasium (including a heated swimming pool) can accommodate 3,000 people. It is suitable for all kinds of sports competitions and cultural activities. The thermostat swimming pool is student swimming training base and the one out of two test centers in Ningbo city. Wang Yangming said “teach a boy today, will make him tend to inspire, the heart full of joy, then the will make him to make progress every day; when the rain spring breeze, stay with moist, vegetation sprout, naturally will grow and change.” We believe: On the basis of the comprehensive development of morality, intelligence, physique and aesthetics, the advantages of intelligence have been fully developed and have begun a new generation with a distinctive personality, outstanding abilities, leadership qualities, social responsibility, family feelings, international vision, active adaptation and social awareness. Huamao education’s goal is to be more embracing for students, more satisfying for parents, and to become the most distinctive international private school in the Zhejiang province and in China. Huamao’s tomorrows will be characterized by many successful students making an generational story that will eventually achieve “Centennial Huamao”.